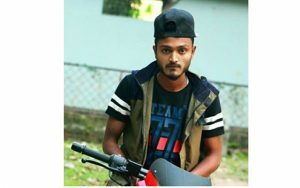 A case was filed against 29 named and four to five unnamed people in connection with the killing of Sylhet BCL activist Tanim Khan early on Thursday. Delwar Hossain Rahi, a friend of Tanim, filed a murder case with Shah Poran Police Station around 12:00am accusing 29 people, said officer-in-charge Akhtar Hossain. Among others, Jainal Abedin Diamond, Sadiqur Rahman Azla, Ruhel Ahmed of BCL faction led by Azadur Rahman Azad were named in the case, said the OC. Earlier on Jan 8, Tanim Khan, an activist of Sylhet Govt College unit BCL and son of Israil Khan of Nij Bhurungamari village in Osmaninagar upazila was stabbed indiscriminately at around 9:00pm, leaving him critically injured. Locals rescued him and took him to Sylhet MAG Osmani Medical College Hospital where doctors declared him dead.